Spirit Run hosts racing and walking events for adults of all ages and ability levels. Spirit Run also has events for the families to run or walk together. Read on to learn more. The Adult 5k and 10k are for age 19 and older. Those really wanting a workout compete in the 5k and 10k - the "Juan Ramirez 15k." There is a time limit for the 10K. Competitors must maintain a 13 minute per mile pace or will be directed to the side of the road. Visit the Awards Page to learn how you can win Spirit Run medals and prizes. 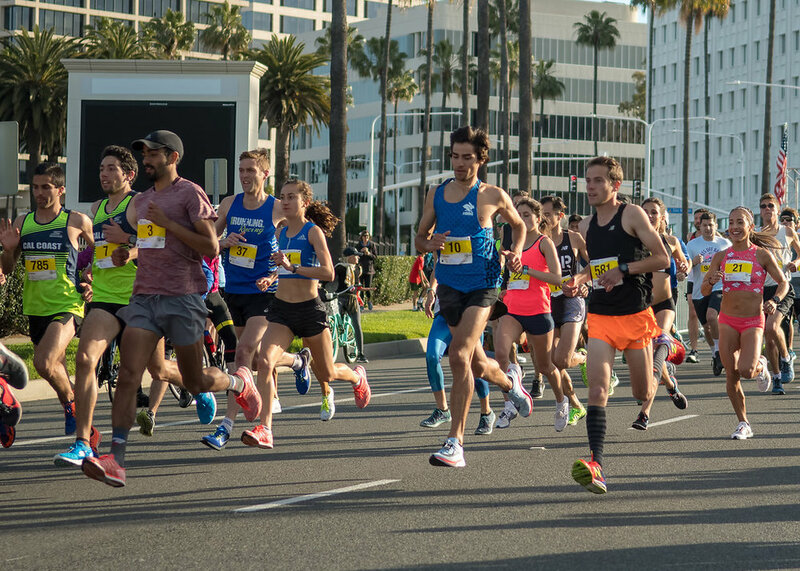 Whether you're an elite athlete competing for cash, a competitive runner looking to set a personal record or to test your fitness, or a casual runner looking for some fun, Spirit Run has a mile race for you! The Elite Mile is for men and women who can run a mile faster than 4:15 and 4:50 minutes, respectively. Field will be limited to 15 men and 15 women. The Open Mile is for adults who don't meet the elite standards but can finish a mile in 10 minutes or less. Those who run faster than 7:00 minutes may start in front. The Family Mile is for individual adults or adults with their families to run together. Participants have 20 minutes to finish. There are two family events. Individual adults are welcome to join in as well. The 5k Family Walk is for infants, grandparents, and all ages in between to enjoy together. It begins immediately after the Adult 5k start. Those finishing after 9:15 may be directed to the sidewalk to finish. 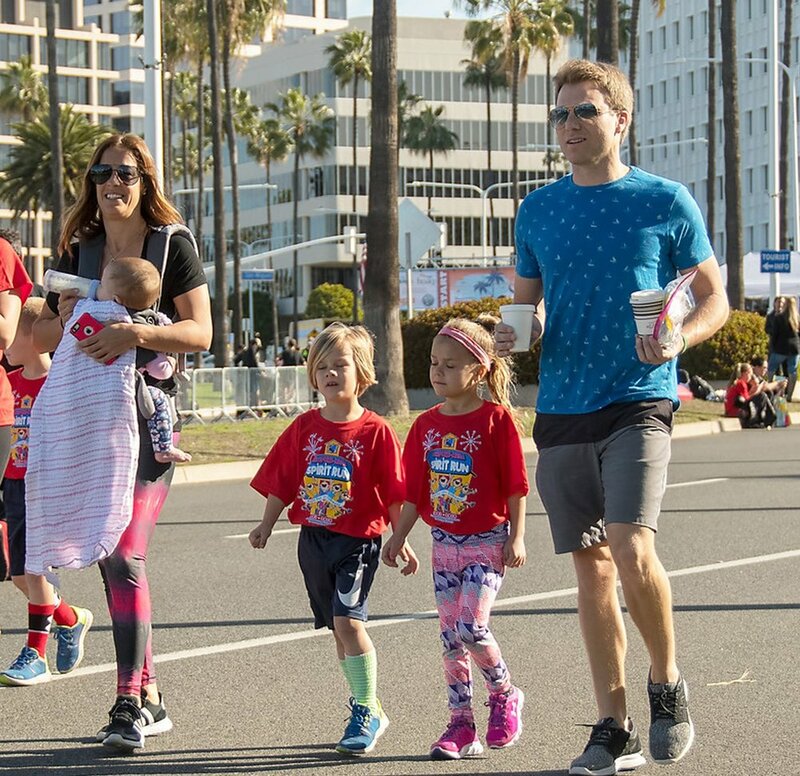 The Family Mile is for casual adult runners and families seeking to jog or walk a mile together. Family Mile participants are required to finish in 20 minutes. Individual adults may register for the 5k Family Walk or Family Mile under the "Individual" registration options. Families may register together at a discounted rate under the "Family" and "Grand Family" options. Visit Registration Page for pricing details.